On November 1, an opening reception in the East Rotunda of Powell Library will welcome the arrival of works by artists from the Ethiopian Jewish Arts Workshop in Be'er Sheva, Israel. The works will be on view November 1-10. The exhibition is co-curated by Michael Hittleman, Hittleman Gallery of Fine Israeli Art, Patricia Greenfield, UCLA Department of Psychology Distinguished Professor, and Michael Weinstock, Senior Lecturer at Ben-Gurion University of the Negev. Co-sponsored by the UCLA Y&S Nazarian Center for Israel Studies and the UCLA African Studies Center. Art works are on loan from the Michael Hittleman Gallery, Los Angeles. The Ethiopian Jewish Arts Workshop in Be’er-Sheva, Israel was established to preserve the heritage of the Ethiopian Jewish community through art. The workshop started with about 57 Jewish immigrants from Ethiopia working in clay. This exhibition features works by the last six artists, all elderly. Many of the clay sculptures represent life as the artists knew it in Ethiopia. The exhibition also includes a coffee pot, which represents the functional items they typically produced prior to emigrating. 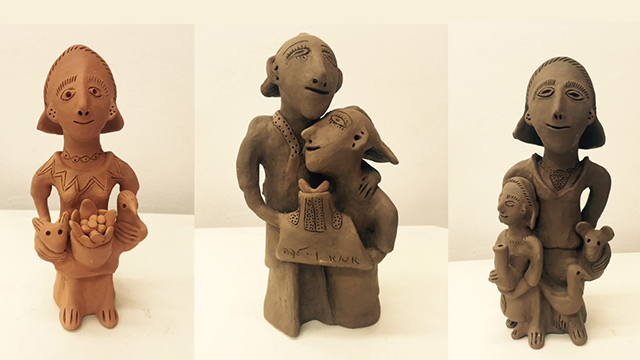 A few of the themes, such as the rabbi figures, had their origins in Ethiopia, where they were sold to tourists; but most of the artists only began creating the figurative clay sculptures in Israel. In the non-commercial workshop setting, they were able to express themselves and depict scenes from their lives in Ethiopia in new ways. These sensitively rendered sculptures, with reminders of religious and family rituals, contain emotion and humor. 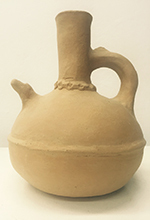 The style blends clay forming techniques from Ethiopia with modern clays and kilns in Israel. Today, Israel is home to an estimated 125,000 Ethiopian Jewish citizens. Members of the Beta Israel (House of Israel) community, as they were known in Ethiopia, consider themselves descendants of the tribes of ancient Israel. Many longed to move to Israel for religious reasons; others because of poor living conditions and oppression in their home country. Emigration was severely limited until the 1980s and early 90s, when two major Israeli operations were launched to aid members of the community and bring them to Israel: Operation Moses (1984-85) and Operation Solomon (1991). The Israeli government brought more than 20,000 Ethiopian Jews to Israel during these operations alone. Since the last air lift, emigration has continued and more than 50,000 Ethiopian Jews are estimated to have made the journey.